As in many traditions, we dedicate the Western Watchtower to Peace, Amity, Love, Communion and communication. Following those traditions, we herein offer you all of the cross links and web rings in which we hold membership. We are quite selective about which groups we join, and which groups we allow to affiliate with us, because we believe we are known by the company we keep. As with the links in the Eastern Watchtower, feel free to enter these houses, share what they have to offer, leave something of yourself, and go in peace, returning often to places dear to you. Our WebRing list is in no particular order. However, its contents most closely reflect the changing feel and flavor of Avalon III. Click on your choice of any ring, and transport yourself into many other incredible worlds. This Texas Pagan Web Ring site is owned by Ithan StarChild. Would you like to join the WADL Web Ring? Want to join the DragonMoon Community Webring? This Celtic Pagan Ring site is owned by Ithan StarChild. Want to join the Celtic Pagan Web Ring? Click here for info. 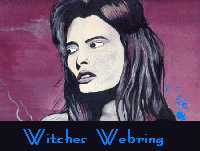 This Witches Web Ring site is owned by Ithan StarChild.. This site has been banned by one or more of several Internet Filtering Software Packages. Why not look at another and see if you agree with their choices? This We've Been Blocked site owned by Ithan StarChild.